The Fire Department says they have surpassed the number of fires this year compared to 2017. Fire Chief Elvis Weaver says so far for the year they have answered to 520 calls compared to 445 last year. He says the increase is as a result of more bush fires brought on by the dry weather. And while the department has been able to respond to these annual fires, Weaver has made requests for at least three new fire trucks that he believes will significantly improve the services of the fire department. The fire chief has made a presentation to the Cabinet of Antigua and Barbuda which he says that it have accepted in principle. “The Cabinet has agreed,” said Weaver. 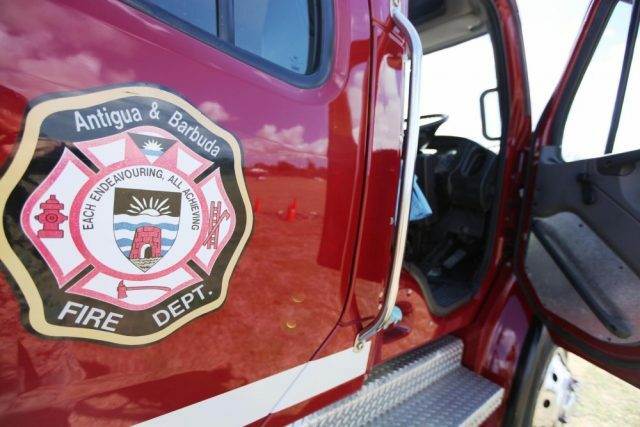 The Fire Chief went on to say that, once approved, the fire tenders would take approximately one year to be ordered, built to specification and delivered to the fire department. Each tender is estimated to cost between EC $1– 2 million. Apart from these new trucks, Weaver continues to petition for the Fire and Police departments to be separated. He says such a move would allow the fire department to focus on the needs of the fire service in the country rather than having the efforts split between both services.